I was injured in two car accidents – one in British Columbia, and one in Manitoba. The insurance schemes are totally different – who can I sue for my injuries? The plaintiff in Sandhu v Wong (2016 BCSC 1490) was injured in two crashes. 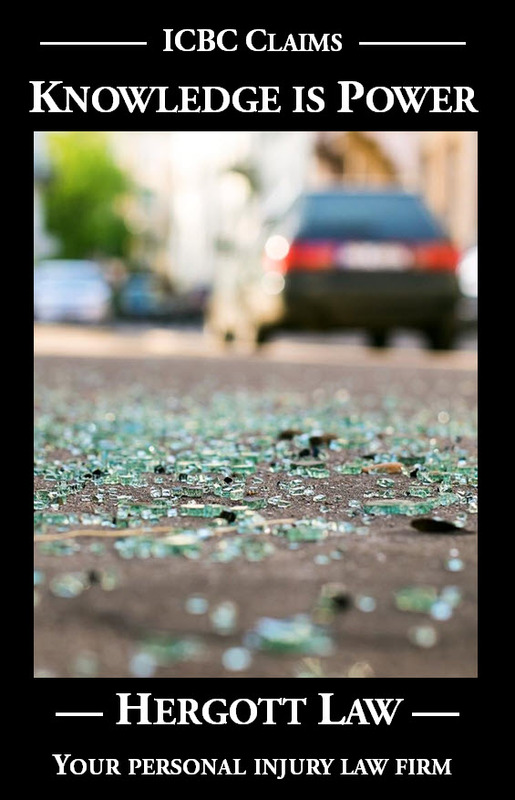 The first took place in British Columbia, where recovery for motor vehicle crashes is tort-based, and the second in Manitoba, where a no-fault regime is maintained and all other claims are barred by statute. The plaintiff was attempting to claim the full extent of her damages against the British Columbian defendant driver, whereas that defendant argued that the Manitoban driver should be included in the lawsuit. The Manitoban driver, referred to as the ‘third party’ in the judgment, argued that if the plaintiff’s claim was statute-barred in Manitoba, it was statue-barred in British Columbia, too, and that there was therefore no cause of action. Counsel for all parties agreed that this was a case of first impression – there was no precedent on the same issues. Master Baker was left to determine what to do in the “interface of two incongruous legal regimes” when those regimes “interact to affect the rights and entitlement of parties involved either directly or indirectly.” In the lengthy excerpt below, Master Baker concludes that these circumstances create an exception to the principle of recovery for indivisible injuries, as laid out in Athey. I cannot accept that Athey and Bradley were intended to place the defendant in a prejudicial position of full exposure without the potential for indemnification, apportionment, or severance in all cases. It is possible that the very nature of indivisibility, upon which each case turned, may be qualified and that damages might be made, in effect, divisible by the action of law when one claim is statute barred. To hold otherwise is to conclude that Athey and Bradley, together, have created a lacuna in the law by which liability and responsibility are imposed upon a defendant for the wrongs of others without any ability to distribute that fault where it belongs. Indeed, that is exactly what has happened in this case; the Vuongs are prevented from seeking contribution and thus the strict application of Athey and Bradley creates an injustice to the Vuongs. If Athey and Bradley were to be applied strictly in this case, the result would almost be that the Vuongs are constituted a kind of insurer of the plaintiff and are liable to her for all indivisible injuries prior or subsequent to their accident, with (to continue the analogy) no right of subrogation respecting prior or subsequent defendants. Mr. Cahan offered the situation, for example, of a party suffering very serious damages but, for some reason, not commencing proceedings within the applicable limitations and then suffering lesser, but indivisible, injuries in a less serious accident. Would the second defendant be able to join the first and somehow nullify the limitation for the first accident? Mr. Watson argued that developing law might have that very result. I have referred above to Burnyeat J.’s decision in Pinch v. Hofstee. I think that that case, while not directly on point, offers real assistance. In Pinch, the plaintiff was injured in two separate accidents. In the first, he was injured in a parking lot when, while assisting a passenger exiting his van, the van was struck by Mr. Hofstee’s vehicle; the impact caused his passenger’s wheelchair to strike him and pushed him into the van’s lift apparatus. He was injured in the result. The second accident was work-related and came entirely within the authority and application of the WCA. The provisions of the WCA prevented Mr. Pinch from pursuing any claims in tort against the other driver in the second accident. …have “merged” with the prior tortious action of Mr. Hofstee to create: “…an injury that is not attributable to one particular tortfeasor…”: (Bradley at para. 37). Nevertheless, Mr. Justice Burnyeat concluded that Mr. Pinch could not hold Mr. Hofstee responsible for his damages from the second accident, finding that s. 10 of the WCA barred the claim. In the result, Burnyeat J. found that s. 10 mandated a statutory exception to the combined effects of Athey and Bradley, and that despite the injuries being indivisible he was required to apportion them between Mr. Hofstee on the one hand and the driver in the second accident on the other (despite, as s. 10(7) contemplated, that driver not being a party to the proceeding). Section 10(1) of the Act is but one example of the inability to recover indivisible damages arising out of a separate breach of duty of care. A further example might be illustrated by a situation whereby proceedings relating to a first tortious act were not commenced within the limitation period and a second tortious act occurred. In those circumstances, I cannot conclude that damages would be available where an action was not commenced relating to the first act, a subsequent act caused injuries which were found to be indivisible from the first act, and a claim was advanced against the second tortfeasor for damages for the injuries caused both by the first and the second tortious acts. Just as a claim for damages for a second tortious act could not “give life to” recovery of damages for a first act where a limitation period had expired so also s. 10(1) of the Act has taken away “any right and rights of action” available to Mr. Pinch and any recoverable “damages, contributions or indemnity” that might have been available to Mr. Pinch as a result of MVA #2. I take these observations as just that; observations, not remarks intended to place limits on the circumstances wherein a plaintiff would be unable to “…recover indivisible damages arising out of a separate breach of duty of care.” In my view those circumstances must include cases where the separate breach of duty of care occurs in a no-fault jurisdiction whose legislation precludes and prohibits tort claims. There may be room for exceptions but they would need to be very carefully defined. It seems to me self evident, for example, that State A has no business in defining the legal rights and liabilities of citizens of State B in respect of acts in their own country, or for that matter the actions in State B of citizens of State C, and it would lead to unfair and unjust results if it did. The same considerations apply as between the Canadian provinces. It seems to me, with respect, that that is exactly what the defendants seek to do by their application; they seek to define the proposed third parties’ rights and liabilities by the law and procedure of British Columbia, despite those rights and liabilities having been fully and clearly defined and constrained by the law of Manitoba. If nothing else it would seem appropriate that we give deference to that law. So while this case does not have the clear domestic legislation governing that Pinch did, there is still legislation governing and that legislation is the Manitoba Public Insurance Act. I conclude, therefore, that when two jurisdictions’ legal regimes collide, as they arguably do here, that a further exception to the indivisibility established by Athey and Bradley may arise, as contemplated by Pinch. In the result the application is dismissed. So – while there is an abundance of case law in British Columbia and Canada as a whole for the principle that losses for indivisible injuries are recoverable from a tortfeasor, regardless of the existence of other causes of injury, Master Baker held that the two conflicting legal regimes created an exception that principle. That exception is a situation where it is appropriate to apportion the injuries between the British Columbian driver and the Manitoban driver, despite the Manitoban driver not being a party to the proceeding.